Creamy stovetop mac and cheese made healthier with low-fat milk, whole grain pasta, and a generous helping of roasted cauliflower. This week, the #SundaySupper family is partnering with American Family Insurance to encourage healthy eating habits. We all have a dream, right? My dream is to one day feed people from the comforts of my own bakery/café. I have it all mapped out. My little space will be full of books and comfortable seating. I’ll know all of my customers by name and greet them as they walk through the door. As I stand behind the counter taking orders and whisking up batches of cupcakes, I’ll watch their faces light when they bite into one of my cookies. There will be lots of cookies. Oh, and donuts. Lots and lots of donuts. American Family Insurance encourages their clients to dream big, and when they do, they’ll be there to protect their investment. I don’t know about you, but dreaming big makes me hungry. A hunger this fierce requires comfort food. For me, the very definition of comfort food is cheese. In order to stay healthy and happy, I slipped some roasted cauliflower into a huge pot of bubbling cheese sauce and stirred in a few noodles. Parents, if you want your kids to eat more veggies, all you have to do is smother them in cheese. Heck, I’ll eat a dirty shoe if it’s smothered in cheese. I made this mac and cheese healthier by using low-fat milk and swapping regular pasta for whole-grain pasta. I used an entire head of cauliflower that I chopped up into bite-size pieces and roasted until toasty and perfectly golden brown. The roasted cauliflower gets folded into the cheese sauce right along with the noodles. Each bite is full of crunchy cauliflower, melted cheese, and whole grain noodle goodness. I made this big pot of mac and cheese right on the stovetop in under 30 minutes. The trick to extra creamy stovetop mac is cream cheese. I stirred in 2 ounces of low-fat cream cheese to create a rich, creamy cheese sauce. To add crunch, I topped the mac with toasted panko bread crumbs. Go ahead and fill that plate up! For more recipe inspiration, follow the Family Favorites Turned Healthy #ChooseDreams Pinterest board. 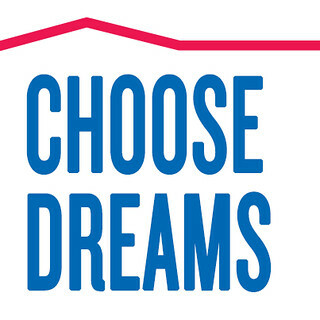 For more #ChooseDreams inspiration, follow American Family Insurance on YouTube, Linkedin, Twitter, Facebook, Google+, and Pinterest. Rich, creamy stovetop mac and cheese made healthier with low-fat milk, whole grain pasta, and lots of roasted cauliflower. To make the roasted cauliflower: Preheat the oven to 400 degrees F. Line a baking sheet with parchment. Place the cauliflower florets on the prepared baking sheet. Drizzle with olive oil and sprinkle with salt. Bake for 25-30 minutes, or until golden brown and tender. To make the panko bread crumbs: Line a baking sheet with parchment. Add bread crumbs to the prepared sheet and add olive oil. Using your fingers, toss the bread crumbs to coat with oil. Bake for 4-5 minutes until golden brown. While the cauliflower is roasting, add the butter to a large saucepan over medium-low heat. Cook until melted. Add the diced onions and a pinch of salt; stir to combine. Cook for 4-5 minutes until the onions are translucent. Whisk in the flour and cook for 30 seconds, stirring constantly. Slowly whisk in the milk. Turn the heat up to medium and allow the mixture to come to a gentle boil, stirring occasionally. Cook until the mixture thickens, about 6-8 minutes. You’ll know when the mixture is ready with the sauce coats the back of a wooden spoon. Once the mixture thickens, stir in the salt, pepper, dijon mustard, and worcestershire sauce. Turn off the heat and stir in the cream cheese until smooth (small lumps are okay). Slowly stir in the cheddar and monterey jack cheese until smooth. Fold in the pasta and roasted cauliflower. Transfer the mixture to a casserole or serving dish. Top with toasted bread crumbs. Serve immediately. Scrumptious recipe (have I mentioned how much I love both roasted cauliflower and cheese?) AND gorgeous photos. Thanks, Renee. Roasted cauliflower is my fav! Delish. I haven’t tried sneaking cauliflower into mac ‘n cheese…yet. But, I think this one is a winner! Okay looking at this before breakfast was a serious mistake. So hungry now! Macaroni and cheese is always awesome, especiallywhen it’s made on the stove top. But I just love cauliflower in anything. Great addition! mmmm! I am with you – I’d eat an old shoe if it was covered in cheese…why is cheese so darn awesome? This mac looks stellar – and I love that there is roasted cauliflower involved! I NEED a bowl of this. Stat! And speaking of bowls, those dishes you used are gorgeousness!!! Thanks, Connie. The bowls are from Anthro. I love the cauliflower touch to this!! YUMMY!!! I ADORE cauliflower! This mac looks fabulous! Pinned! I swear cauliflower is like the wonder vegetable. You can do so many yummy things with it! Loving this recipe! It is. I’ve seen people turning it into pizza dough. Genius! I love cauliflower, but have been having a hard time getting hubby to eat it. I think that between your mac and cheese and Brianne’s cauli-tots, I might make him a convert!! I can’t wait to try this. You’re sure to convert him with the two recipes. Thanks, Wendy! This is such a great idea…. it looks absolutely fantastic! I haven’t tried this cauliflower pasta trick yet, but it almost sounds too good to be true! I can’t wait to give it a whirl. Also, LOVE those bowls! So pretty! The absolute perfect comfort food to me is Mac & Cheese and adding cauliflower sounds amazing! I’m a mac and cheese nut! Cauliflower only makes this better! I’m with you. Cheese is total comfort food. I would eat it over chocolate. Love this dish and all its cheesiness. It’s a perfect Meatless Monday dish. Have you ever made it with reduced fat cheese? Does it work well? I haven’t tried reduced-fat cheese, so I can’t say. I grate my own cheese because it tends to melt better than the pre-shredded cheese. Two of my favorite things. Of course combined they will be amazing! Yum! What a great sub for mac and cheese! I could totally eat this and not miss the pasta at all! This mac ‘n cheese looks so creamy and delicious….I love that you used cauliflower to lighten it up! Can’t wait to try this! Delicious! You can’t go wrong with roasted cauliflower. Or cheese! I would totally come hang out at your bakery/cafe! Sounds like my kind of place! Can I have a job at your restaurant? That sounds super cozy. I am picturing the little cafe/bakery from Stranger Than Fiction. I hope that is what you are going for! I haaaaave to share this recipe with my SIL’s! My nieces and nephews are obsessed with mac and cheese!!!! They would devour this! Of course you can, Stef. We would have so much fun together. Yes, just like the one in Stranger Than Fiction. So homey and comfortable. WHOA, Jennie – this dish is amazing! It looks so rich, satisfying, hearty ‘n comforting and I love that it’s lightened up with all that fabulous roasted cauliflower. Also, lol at the dirty shoe reference. I might now go that far but you’re right, most things are definitely made 1000% better with cheese. Can I come and work at your bakery? I need to ditch this day job of mine and help you live out both our dreams. It’ll be heaven! I’m definitely going to need help, so of course! Working together would be a hoot. Thanks, Nancy! Love this lightened up comfort food! It looks amazing! Thanks, Erin. Broccoli would be tasty. Mmm, broccoli and cheese.